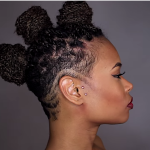 African American hairstyles are often termed to be pretty chic, rock and a lot different than that of what Asian, Caucasian, and Hispanic hair look like. Though, there are a number of prejudices attached to African Americans where the standard of black beauty was not as much appreciated years ago, as it is understood today. With the immigration of Blacks into the new world under the banner of slavery came a lot of pressure, particularly for black women. The demand was to put their own identity in the background when being forced to work hard labor, and this also meant, they had to develop a new identity in order to survive harsh treatments. It was also seen that many Blacks were appointed the job of taking care of personal grooming of the Whites they were slaving away for. Some saw that they had no choice but try to change their physical outlook under the influence of their White owners, the rest of them still preferred looking after their hair traditionally, for instance, adopting short hairstyles by simply braiding them in traditional African cultural and tribal patterns. The rest of the world sees African American hair as a whole bunch of tightly curled hair, but little do they know there are all kinds of textures and colors spread across different African ethnicity. The core physical structure remains the same as of everyone else, but the part of bonding differs from that of Asian and Caucasian hair. The stronger the bond results in a tighter wave/curl. African American hair ranges in all kind of blondes to reds and browns to blacks. Also in today’s pop culture, we see black women flaunting naturally lose to tightly curled hair all the time. The overall texture of African American hair is pretty coarse and this can result in extensive breakage. 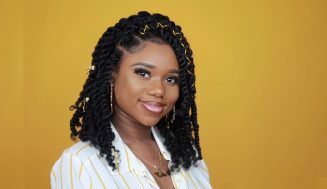 People often think of African hair to be fuller and immensely great in terms of growth, but this fact is sometimes wrong because coarse hair texture is very much prone to easy breakage and chemical damage in-comparison to any other hair type. It takes some efforts and personal hair care in the case of African hair for proper and good hair growth. 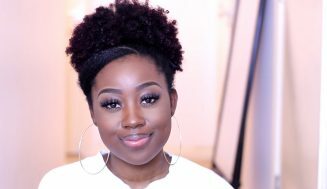 There are a number of ways to treat and take care of black hair that will not only help in the growth process but will also keep the reign of control in your hands. Oil Your Hair Well: This tip applies to every hair type in the world and goes the same for African American hair. Though, there is a need to moisture and oil your hair a lot more than any other hair type. 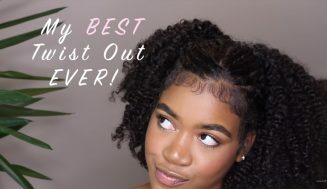 When it comes to oiling, natural hair can be the most difficult for some hair type because of the rough and dry texture along with the tight curls. In order to increase your hair growth and hair strength, it is important to keep it moisturized. Always make sure to use a conditioner after every wash. Since the ends are the most damaged part of the hair make sure you apply the conditioner well on to the ends and leave it for good 2-3 minutes allowing it to do the work. Because of the extremely dry texture, many hairstylists have also suggested the use of mayonnaise as one homemade conditioner that will leave your hair feel a lot softer. The procedure is to condition the hair with mayonnaise for 10-15 minutes and then wash it off using your regular shampoo and again putting on your usual conditioner. 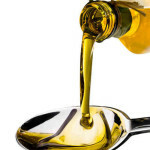 Regularly oil the tips of your hair if your hair has extensive kinks, it isn’t easy naturally for the hair to distribute natural oils well to the tips of the hair. Trim It Up Regularly: It is the most recommended tip by every hairstylist working with any kind of hair. You need to trim the ends of your hair every other month in order to fasten the speed of hair growth. Just like any other hairstylist yours will do the same by recommending you to come back within 3 months to get a hair trim. This is done because the ends of the hair get damaged by the environment, split ends, and mistreatments, and it is because of this damaged hair that further hair growth gets affected. Good hair growth always demands proper nutrition and even at times despite a good diet your body requires some extra external help from multivitamin supplements in order to boost things up. 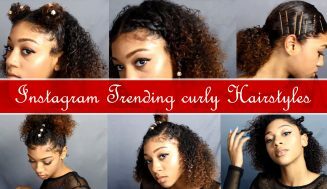 Managing The Hair: To manage natural hair can be the toughest and due to improper management of hair, the texture can get dry and coarse with the passage of the day, this is the reason why you absolutely hate the feel of your hair when you get back home and spend the rest of the time thinking if they looked the same all day long. But if you apply what most of the hairstylists had to say in terms of looking after your hair you’d be more than relieved. Instead of going for extremely tight braids, you should better manage your hair with the help of loose braids. Braiding the hair is a popular technique to save the unruly strands from getting too dry and breaking off, this technique also locks a small amount of moisture in the hair. But make sure to open up the hair after a while to pass in fresh air through the strands and the scalp. Tie up the ends of the hair using bobby pins instead of securing it with the help of rubber bands. Due to the dry texture of hair, the band tears up quite a bunch of hair when you try to untie. It is suggested to go for regular protein treatments in case you have had a chemical treatment to either straighten or dye your hair. This is suggested as protein treatments help damaged hair and lower the risk of excessive hair fall. Better to look for animal or plant proteins in the first 5 ingredients of your protein treatment products ingredient list. One of the best tips that not a lot of women appreciate is to tie up your hair with a cloth. Yes, tying up hair in a scarf of a bandana might look a little out of fashion or not according to your style but this actually saves your hair from extra damage caused by the harsh heat. However, as it is not widely accepted to be using it all day, go for covering up hair with the help of a silk material throughout the night. This way the hair will be a lot manageable and still moisturized, the next morning. Since African American hair is naturally curly it can be difficult to handle and manage on a regular basis. Many women of color actually spend a lot of time in the morning styling their hair in comparison to other people. 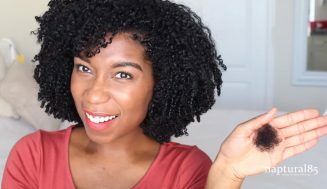 Try out these easy tips to reduce your management time all day long and also increase the growth of your natural hair. Always make sure to adjust the heat level of your blow dry to cool setting to avoid excessive damage caused to the hair due to heat. Since African American hair is mostly curly you may not want to use a fine tooth comb as that can cause hair breakage which is not helpful to growth. Thus, people and even hairstylists suggest in order to manage your hair use wide toothed combs and brushes, only. If you are always into straightening and ironing your hair then opt for heat protection oils and products that prevent excessive damage to the hair. Go for heat protection products comprised of olive oil extracts. It is highly recommended to oil your hair while they are still damp this way it is easier to spread the oil along the entire strand. 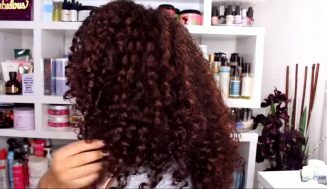 When oil is used in dry hair, it fails to reach the inner portion of the curl. If you are tired of waking up to the feel of witnessing bombed hair every morning, then don’t forget to use this style tip of covering your hair with a silk scarf before going to bed. You can also sleep on a silk pillowcase if the scarf is creating nuisance throughout the night. Nonetheless, the best way to look and feel good is to be at peace with yourself. Because having peace from within help make you feel confident and blesses you with an eternal glow that nothing else can beat in this world and certainly cannot be achieved with the help of any hair products that are available. Simply, enjoy life as it is. Thank you. This is just what I needed as I begin my natural hair growth. Great information, some stylist are only interested in how much $$$ they can make & not necessarily their clients hair health care. Thanks again. Thanks for the help! Being natural is a challenge but it wil pay off!!! I’m on day one of my loc’s journey, my hair is very thin. Looking forward to my hair growing longer and healthy. HI MY NAME IS VANESSA, I READ YOUR COLUMN ABOUT CONDITIONER AND YOU MENTIONED USING MAYO ON HUMAN HAIR, MY QUESTION IS HAVE ANYONE HEARD OF USING CONDITIONER AND WATER MIX TO SPRAY ON YOUR HEAD TO MAKE IT SOFTER?